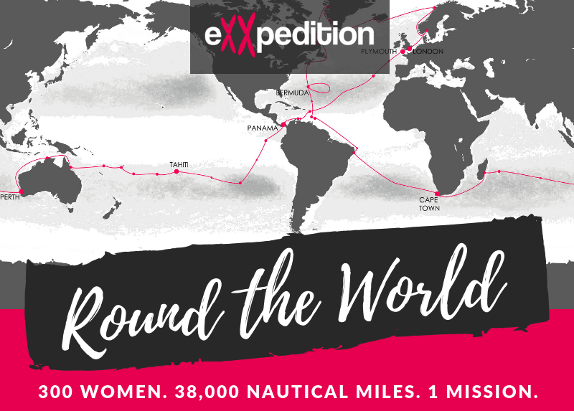 I am honored and lucky enough to be one of the newest members of eXXpedition Round the World! eXXpedition is comprised of an incredibly talented and diverse crew of women – artists, scientists, filmmakers, sustainability professionals, businesswomen, sailors and so much more. Round the World will be completed over the next two years consisting of 30 voyages, 300 women, and over 3800 nautical miles. I will be joining the crew on the first leg, starting in Plymouth, UK on October 7th and sailing to the Azores, arriving on October 20th. The voyage is a pioneering ocean sailing expedition to circumnavigate the globe with the aim of raising awareness of, and explore solutions to, the devastating environmental and health impacts of single-use plastics and toxics in the world’s ocean. My travels have brought me to some of the most remote places on the planet, and the one thing everywhere has in common in pollution, mostly in the form of plastics. I am the Founding Director of Scientists are Superheroes too and Eco-Elders, reaching out to different generations, to not only form bonds, but to help inspire ideas, and change of habits to reduce their plastics footprint. ● Create a community of change-makers and inspiring global ambassadors to tackle plastic pollution back on dry land. During their ocean experience participants discover the power of their individual roles in addressing the issues. Empowered by their first hand experience at sea we provide the tools, confidence and support they need to become effective leaders that can influence meaningful impact through their personal and professional communities. For our Round the World voyages, eXXpedition will work in partnership with internationally-recognised ocean plastic experts to carry out plastics-related citizen science, both at sea and on shore. Professor Richard Thompson and his team of scientists at the University of Plymouth will be taking the lead on our sea-based science programme, while the collaboration with Dr Jenna Jambeck and the University of Georgia will be focused on land impacts. The impacts on local communities will be measured using a Circularity Assessment Protocol, developed at the University of Georgia, which looks at everything from waste washed up on coastlines to plastics in community shops. ● Plastic debris also threatens marine and terrestrial wildlife through entanglement or by clogging their digestive tracts. Unfortunately, mounting a sailing expedition is expensive. And, each volunteer participant is paying her own way. We’re mitigating the costs as best we can, but even with key sponsorships the trip will cost about $15,000+ per person which includes flights, vessel usage, expedition expenses: trucking and excess baggage for expedition gear; long-distance team conference calls, Internet support, hotels and meals, etc.). Itemized breakdown upon request. I’m hoping that this #GoFundMe campaign will help me raise two thirds quarters of my costs (~$10,000) to participate in the expedition, with a deadline of September 1st. Your gift, no matter how small, will help lead the way in marine plastics education and inspire curiosity and action for all who watch, listen to, or experience the eXXpedition Round the World. You can also donate via PayPal to avoid fees (message me for details). eXXpedition women are on a journey of discovery, We hope to inspire and empower not only young women but ocean enthusiasts everywhere. I need your help to change lives, shift career paths, alter behavior, and spark a movement. 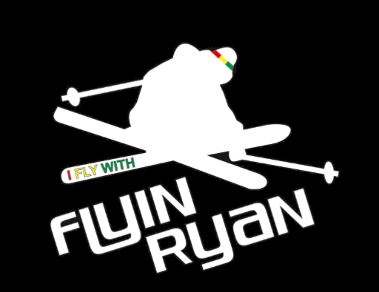 Huge THANK YOU to my sponsors!